How to identify an agile organization is — given the market-entry of the late majority to agile development practices – nowadays more important than ever: No matter how large the pay cheque, life is just too short to spend it on unfulfilling projects! I can support your quest as an agile practitioner for the next suitable employer or client with this article, covering the three different phases of gathering information on the agile maturity level of an organization. Noting that SQL is listed as a skill prerequisite, I am not sure whether the author understands the required skill set completely. That aside, however, the reported rise in the number of available positions year on year (104 per cent) reflects the exponential growth in the demand for Scrum Masters and Agile Coaches. The reasons for this are apparent, with software eating the world, and the pace of innovation accelerating as the market-entry barriers of the technology sector are continuously lowered. Venture capital is also widely available, and startups are gaining more of an innovative advantage over established organizations. Current tech trends as analyzed in “Deloitte’s Tech Trends 2017 Report” are threatening the very existence of a lot of legacy organizations. Turning this legacy ship around and taking on this wave of innovative competition bow-first is a difficult thing to do for an organization founded in the golden age of Taylorism [‘Principles of Scientific Management’ propounded by F.W. Taylor in 1911.]. With its structure of functional silos and command and control management style, transforming into a learning organization takes time, because the organizational debt, acquired over decades, results in a latency that justifies the ship/tanker metaphor in this case. The long established practice of legacy organizations countering this effect was to outsource innovation by acquiring promising startups. The problem with this is that the valuation of such startups has skyrocketed in recent years, while the financial prowess of legacy organizations has diminished (in many cases) at the same time. The decade-long window of opportunity in outsourcing disruptive innovation is closing. Apart from striking the colors and admitting defeat, the only alternative is to change the legacy organization itself by transforming into a learning organization. With the ensuing difficulty, however, of refocusing everyone on creating hypotheses, running experiments, and embracing failure, while abandoning the command and control management style at the same time, legacy organizations have tended to give autonomy, accountability, and transparency a try at team level — mostly within the product delivery organization in charge of creating software. Do I want to work for a nascent agile organization (of the late majority) where my work will likely be met with resistance at multiple levels? If I don’t want to work for a nascent agile organization, how do I identify an organization which established agile practices that are compatible with my mindset? The two questions are relevant both to applying to available positions, as well as identifying suitable employer or clients for a proactive application. It is impossible to assess the agile maturity of an organization solely from the outside. However, it is possible to acquire enough of an understanding of the organization’s agile practices that would foster asking the right questions at a later stage, for example during an initial job interview. Or, it may be concluded early in the assessment process (see below) that the organization is not compatible with the personal expectations of an employer or client — which is acceptable by saving wasted time and effort for all involved. Consider the popular saying: There is no project interesting enough that you just couldn’t walk away from it. The good news is that all organizations that truly embrace agile practices are usually openly talking about their journeys (unless they need to honor compliance rules), and are transparent and actively supporting the agile community. The reason for this support is simple: Being transparent and supportive is the best way to pitch the organization (and its agile culture) to prospective new team members —and the war for talent is even more imminent for agile practitioners. Scrum, Kanban, XP, Lean UX, Design Thinking — What are they practicing? Are the current Scrum Masters or agile coaches working at the organization? How many engineers or engineering teams are working for the organization? What is the size ratio between the product management and engineering teams? Is the organization practicing continuous product discovery? Is the organization practicing DevOps? The initial search results will provide a first impression, directing further searches of blog posts, videos of conferences or local meetups, slide decks, podcasts, or threads in communities. A truly agile organization will leave traces of a large variety of content. InfoQ — community news site for spread of software innovation and knowledge — has a rigorous editorial process and focuses on delivering quality content to its audience. Contrary to InfoQ’s standards there are quite a few articles on Scrum Alliance, for example, that could raise eyebrows for scrutiny. These articles are often celebrating one form or another of cargo cult practices within an organization which could be masquerading as agile, but is certainly not agile. A good rule of thumb when scanning search results is noting the diversity of sources. If you find content only on the company blog, and it has barely been shared or commented upon, it might hint that the content manager is either not understanding the job, or that the content is not relevant enough to be of interest within the agile community. Advanced Tips: Use BuzzSumo to analyze a specific article or keyword for its popularity in social share counts. In addition, search for the title of the content piece on Twitter and have a look at the search results: who from the agile community is sharing this content? It is also beneficial to extend the initial Google search to online communities such as Reddit or Hacker News (HN) to name a couple. Both communities allow for posting articles as well as questions. The archive of HN is of particular interest. It is not just because of the sheer number of available articles or threads there, but also the partly heated discussions going on in the comments. Be aware, though, that ‘agile’ as a concept is challenged by a lot of the outspoken community members (namely, independent developers) both on Reddit and HN. Beyond passively scanning the archives, posting a direct question to peers is an alternative. HN is likely a waste of time, and if using Reddit – choose the Subreddits /agile and /scrum for a possibly better outcome. Note: Don’t forget – haters will hate, and trolls just want to play. Do not take it personally if your search on Reddit or HN is not taking the direction you desired. You can probably expect more support by asking the members of the ‘Hands-on Agile’ Slack community for help. This is a world-wide community of Scrum Masters, agile coaches, and Product Owners that has proven to be very supportive. Note: You can sign-up for free here. 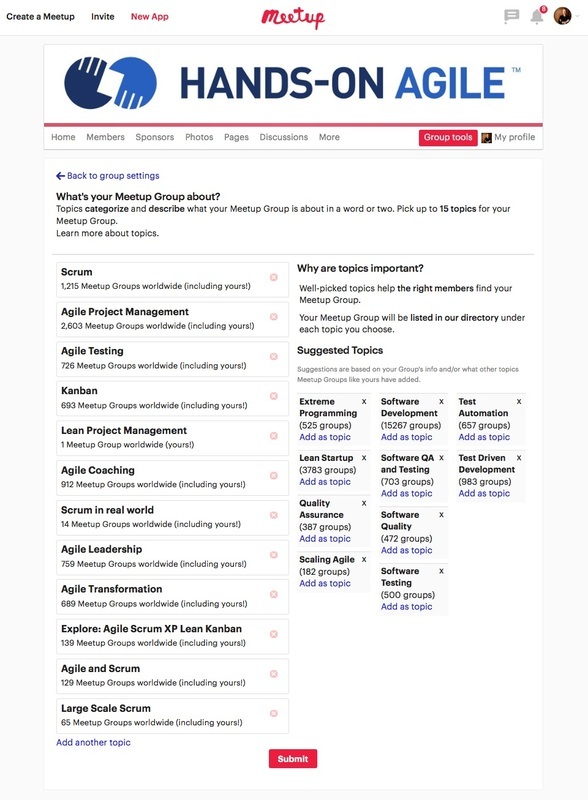 There are also LinkedIn groups available which focus on agile practices — some with more than 100,000 members. (For example, Scrum Alliance has a group on LinkedIn that seems more active than its own online community.) After having joined them, post your question(s), remembering to be compliant with the group rules. Expect your first posts to be moderated, though. If posting a question to a LinkedIn group, expect to monitor it carefully and interact with answering members in a timely manner: not interacting with responding group members may be considered rude and possibly lead to being banned from posting in the group again. Lastly, try Quora, directing a question to Quora members active in the agile realm as to whether the organization of interest has an agile mindset. Note: In doing so, avoid asking anonymous questions — which tend to have a significantly lower answering rate. Source 3: Is the organization sponsoring or organizing Meetups, Barcamps, or Conferences? Supporting public events is the highest form of contribution to the agile community by an organization. If an organization provides this level of support to the agile community, the talk about this will certainly be on the company blog, the engineering blog, or in a press release in their public relations section. In the unlikely case that any reference cannot be found, just contact the Public Relations department who will provide the required information. Conference sites are a good ground for identifying prospective organizations when considering to proactively apply for a Scrum Master position. Check carefully for two things: sponsors and speakers. Search for sponsors that are practicing agile in their daily operations. Usually, a larger sponsor package will include a speaking slot at the conference. Note: A consultancy offers agile coaching and training jobs, so unless that type of employment is desired it might be desirable to ignore sessions provided by companies like agile42. These are the usual suspects looking for new clients or consultants among the attendees. Personally, a more promising approach, by comparison, is to search for non-professional speakers who are aligned with an organization that is not sponsoring the conference. These speakers may indicate a suitable, prospective employer or client after already having gone through the selection process for speaking proposals and vetting of their contribution for originality. For an additional listing of agile conferences, check TechBeacon’s list for 2017. Lastly, the big conferences are often considered must-attend events — useful to earn Scrum Alliance SEUs or improve professional visibility within the agile industry. Alternatively, smaller conferences often prove to be more effective by providing information that helps identify a suitable, prospective agile organization. The larger the conference, the more possibility of noise camouflaging that information. Meetup.com is a great site to discover which events of the agile community are happening locally and who is organizing them. There are thousands of Meetups around the world, t covering the topics of agile frameworks and practices, software engineering, and product development in general. Metaphorically, the low-hanging fruit is, of course, an organization that leaves a footprint in the agile community by organizing its own events. A good example of this category is Berlin-based “Zalando”. Back in 2015, Zalando [Europe’s largest online fashion retailer.] introduced its version of Agile, dubbed ‘radical agility’. It has since proven to be a smashing success, not just fueling the bottom line of the business, but also the company’s ambition to build an outstanding product delivery organization. Over the last year and a half, we have doubled the technology team from around 800 in 2015 to over 1,600 currently. In addition to changing our business model, we also implemented a unique culture within the technology team called Radical Agility: This has seen monthly technology applications grow from 500 to over 2,000, and allows us to ensure that we are hiring only the best quality. Zalando is hosting several events relating to best engineering practices, as well as (generally radical) agility-related events, every month on their own campus. If you want to work in an agile manner in Berlin, Zalando is certainly an organization worth considering. Besides spotting the Zalandos of this world, the other benefit of analyzing a local event is identifying the independent organizers in the community. Most often, these are peers dedicated to the agile cause who are giving back to the community. Given their extended networks, they are usually highly knowledgeable regarding the agile maturity level of local organizations, and may know other peers that might be supportive of a quest. Reaching out to them by attending their normally free events is, therefore, a good strategy for gathering information. Stay tuned — Part 2 will cover how to analyze job advertisements, and how to prepare for the job interview. —and follow Age of Product on Twitter.